You are here: Home / News & Views / braces / What Is Invisalign and How Does It Work? The field of orthodontics has a variety of options to offer patients who wish to correct imperfections. Two of these options are braces and aligners. Aligners, such as Invisalign, are taking the world by storm with their flexible options for usage and for the fact that they are virtually invisible. Check out more information about Invisalign here. Zia Chishti was a student at Stanford University, and a braces user, when he first came up with an idea: a less annoying and more convenient system to straighten up teeth, especially for adults like him. Shortly after having his braces removed, and receiving his retainer, the idea of a similar type of technology, modeled to do a different job, came up. He immediately partnered up with Kelsey Wirth, a fellow student, and, as the model continued to develop, two more partners named Apostolos Lerios and Brian Freyburger joined in the project. By the year 1997, the partnership completed the final model of what we know today as “the Invisalign,” which they created under their company “Align Technology.” After getting the final touches in manufacturing, they obtained more partners into the project, and the FDA approved the Invisalign to be sold in the United States. 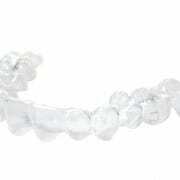 Invisalign works as a combined effort between your orthodontist and the Invisalign company technologies. First, you would need to get your teeth examined at the orthodontist office. The exam is free of charge, and it will determine whether your particular case is a good candidate for this treatment. As with everything, one technology is not a fit for every case. The orthodontist will take x-rays, photographs and dental impressions of your teeth. He or she will also specify to Invisalign the way that your teeth should move throughout time. When this information is gathered, it will be put together as your personal record. The records are then sent to Invisalign so that they can scan and create a 3D model of your teeth. Since each mouth is different, each plan is also different. Therefore, the technicians at Invisalign will make different trays modeled progressively the way your doctor plans for your teeth to be aligned every two weeks. 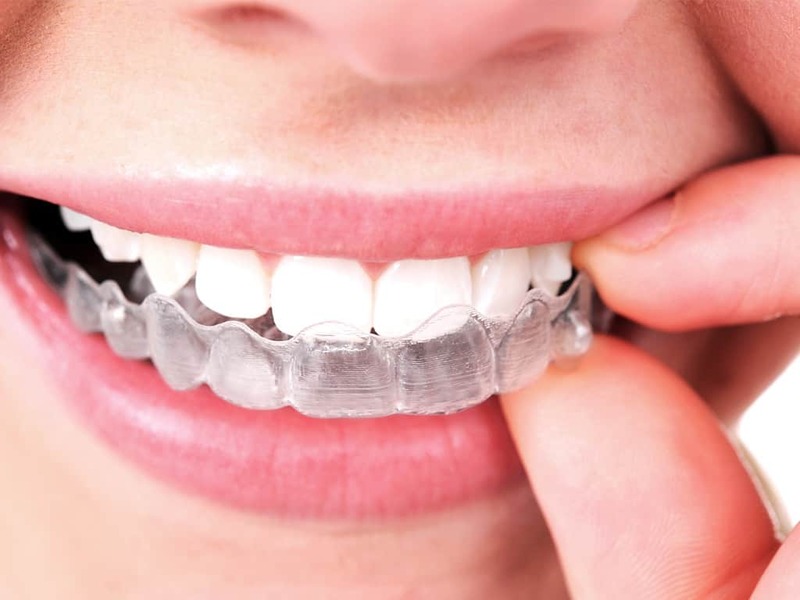 After reviewing the final product, the final aligners, also known as “trays,” which is what you will be wearing, will be sent to the orthodontist’s office. There will be multiple trays, depending on each case. You will not wear just one tray for the entire duration of your treatment. Once your very own trays reach the orthodontist’s office, you will be called in to try on the first aligner. You will use your aligners in increments of two-week periods, depending on your plan. Keep in mind that each aligner will be straighter than the previous one. This is how the aligner will push the tooth the way that the orthodontist recommends. Therefore, you may feel pressure at first, but you will get used to it. Gums are soft and semi-malleable. The tooth will slowly become more erect and will go to the position where it should be. The idea is that, in that two-week period, the teeth will slowly place themselves in the exact spot where the tray puts them. Eventually, the aligner and your teeth will match. You will be wearing your aligners around 20 hours per day. The pressure of the aligner will likely move your teeth at a faster rate than regular braces, which use a “pull” technique. Your doctor will ask you to wear the aligners as close to full time as possible. Of course, you can remove them to brush your teeth and even when you eat. You also will learn how to clean the aligner and maintain it as hygienic as possible. It is imperative, however, that you keep it on as long as possible. Remember that another tray will be waiting at your doctor’s office within a two-week period. It is important that your teeth have moved to the desired location in order for the next tray to fit the way it was originally scheduled to. At some point your doctor may ask you to add rubber bands or attachments to your treatment. The rubber bands are used the same way as with braces: They rotate teeth and help correct the bite. In other cases, you may be asked to wear attachments, which are plastic composites that are placed on some of the teeth to make the aligner even more effective. This is not the case for everyone. 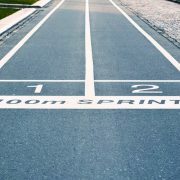 You cannot put a time stamp on every treatment, as every case is different. The more work you need doing, the more trays will be needed. If you follow your treatment plan the way that your doctor wants you to, your teeth should be in the desired position by the last two aligners. Therefore, you can estimate your treatment period and completion based on how many trays are ordered for your case. 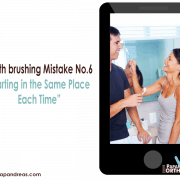 There may be slight tardiness in some teeth to shift, for which your orthodontist will take more pictures of you teeth and order more trays from the Invisalign company. This is very normal; remember that the purpose of the aligner is to be the least invasive way to treat such a delicate area. These trays are called “refinement trays,” and not everyone will end up needing them. At most, there may be a need for one or two of these trays to complete the process. Like with braces, after the alignment treatment is over, you will use retainers. The company makes retainers that are plastic and transparent, just like the Invisalign tray. There are options for permanent retainers that are placed inside your mouth in the front teeth (lower.) Part-time retainers are also available. Your doctor will ask you to wear them full-time for two months. After that, you may wear them at night while you sleep. In some cases, you may end up just wearing them once a week or so. The reason why you need a retainer after such a deep treatment is to keep your teeth from continuing to change. 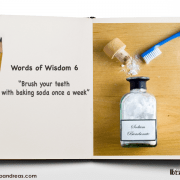 Remember that the mouth is one of the parts of the body that is used the most. Jaws exert enormous pressure on one another, especially at night when your mouth is closed shut. A retainer helps control the normal shifting of teeth. 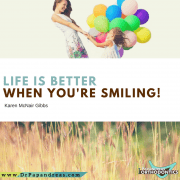 Always continue to take care of your teeth, and be sure to enjoy the benefits of a healthy smile. 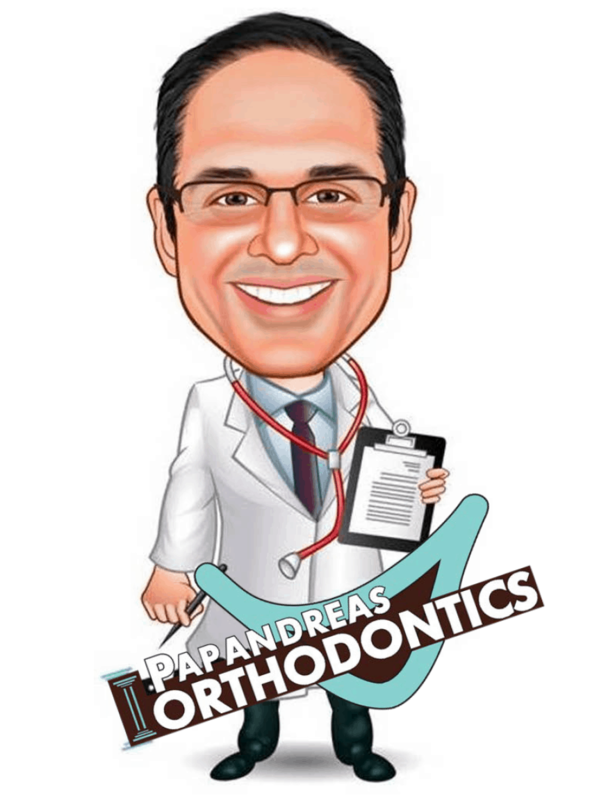 https://drpapandreas.com/wp-content/uploads/2018/01/new-invisalign-provider-logo.png 600 442 Dr. Sam https://drpapandreas.com/wp-content/uploads/2016/04/logo-dr-papandreas.png Dr. Sam2016-08-02 10:00:002019-04-25 11:57:27What Is Invisalign and How Does It Work?